He defeats Hawaii talents Daniela Stewart & Kaniela Stewart in an important competition for domestic and international LQS rankings. They now head to the final event of the season. 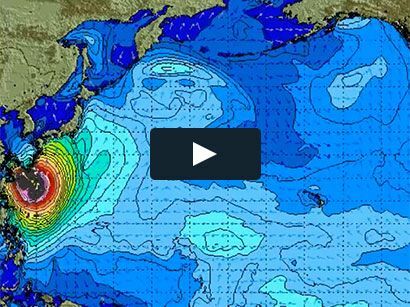 Surf News Network: 14 November. Onjuku Beach, Chiba City Japan – Former World Surf League Longboard Champion Piccolo Clemente (PER) has taken out the 2017 Trump Onjuku Logger Pro. The Peruvian was top of a star-studded field who were treated to perfect longboard waves at Onjuku Beach with Clean 2 foot waves. In the final, Clemente came up against two times World Champion Taylor Jensen (USA), US-born Tony Silvagni (USA) and Hawaiian upstart Daniela Stewart (HAW). Clemente lead from the start posting an excellent 8.33 (out of a possible 10) on his first ride. He then backed it up with a solid 7.50 for his winning heat total of 15.83 (out of a possible 20). The rest of the field were left chasing excellent scores for the remainder of the heat but were unable to overcome the light-footed Clemente. Kaniela Stewart (HAW) was the closest to a heat total of 14.00 followed in third by Silvagni and 4th by Jensen. It was a great win for Clemente who will now head to Taiwan for the Final Longboard Championship Tour (LCT) event of the season full of confidence and he searches for another Championship trophy. Local standout Hiroka Yoshikawa (JPN) took out the Women’s event in a close final with Minami Koyama (JPN), Maria Fernanda Reyes (PER) and Keiko Kodaka (JPN). Yoshikawa won with a heat total of 12.66 and looks in a good position to qualify for the first LCT event for 2018 in Papua New Guinea.